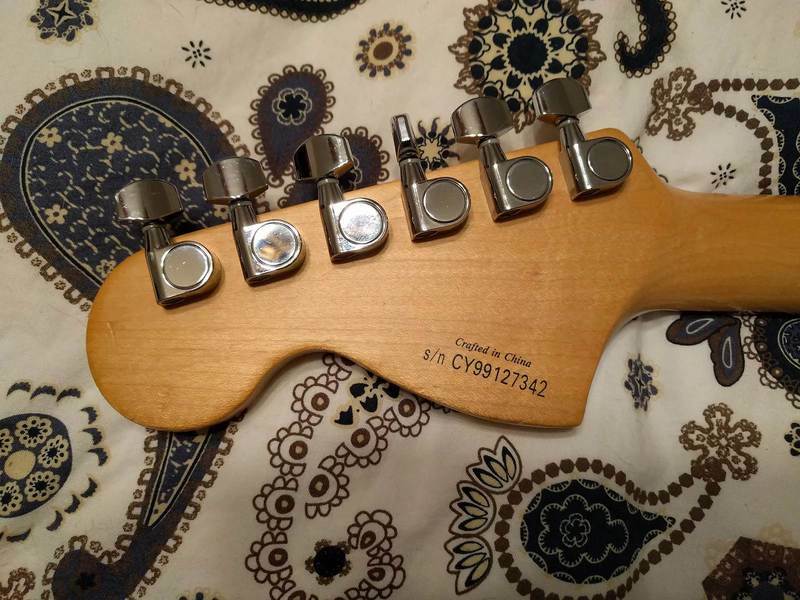 Other Decals, front: Small "STRATOCASTER", "Standard SERIES", "BY FENDER"
Other Decals, back: "Crafted in Indonesia" & Serial "IS" or "Crafted in China" with Serial "CY"
Tone, versatility, playability - in guitar lingo, that means Stratocaster! 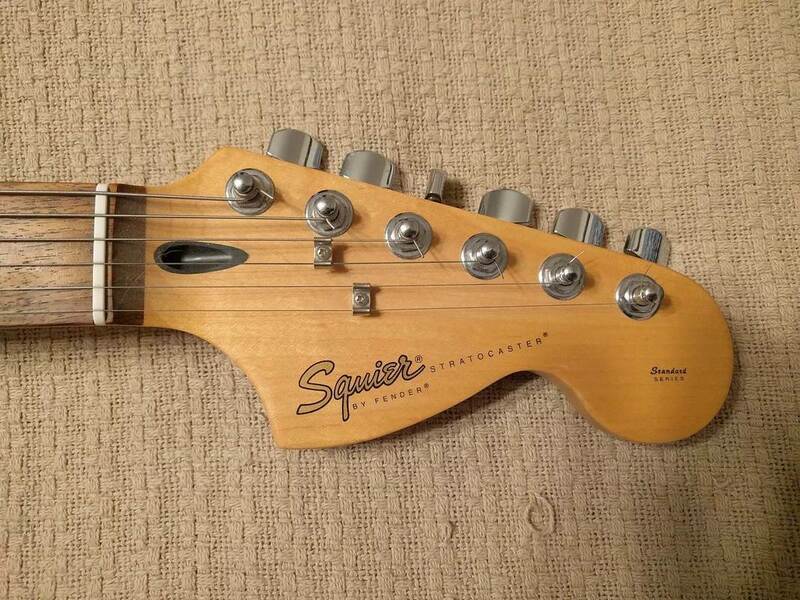 This new Squier Standard version is faithful to its namesake in every detail. 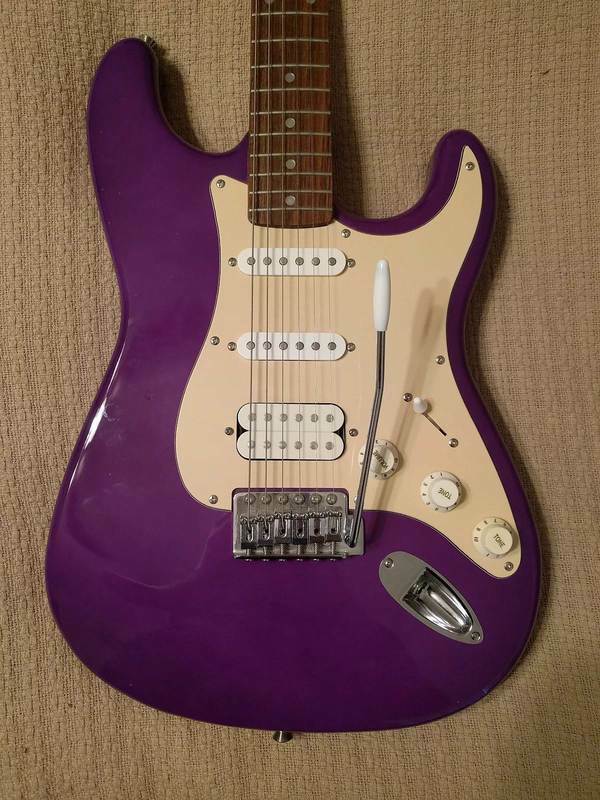 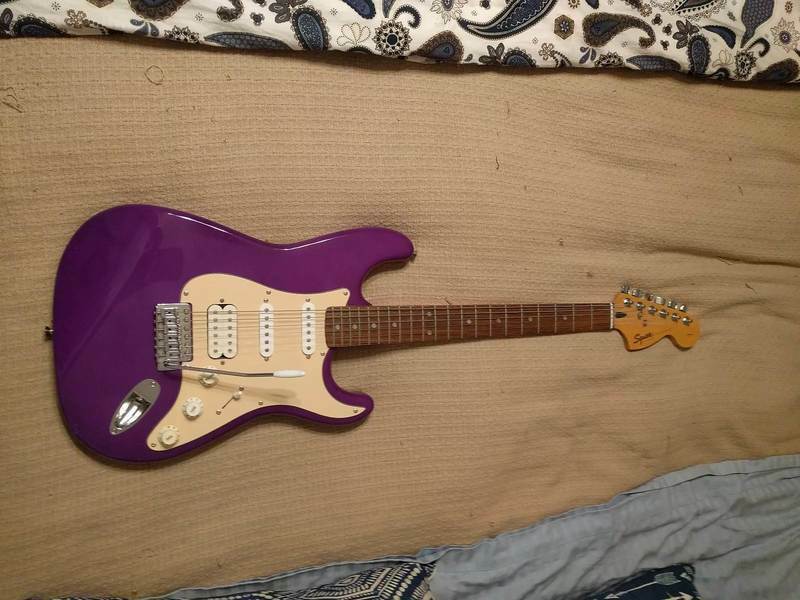 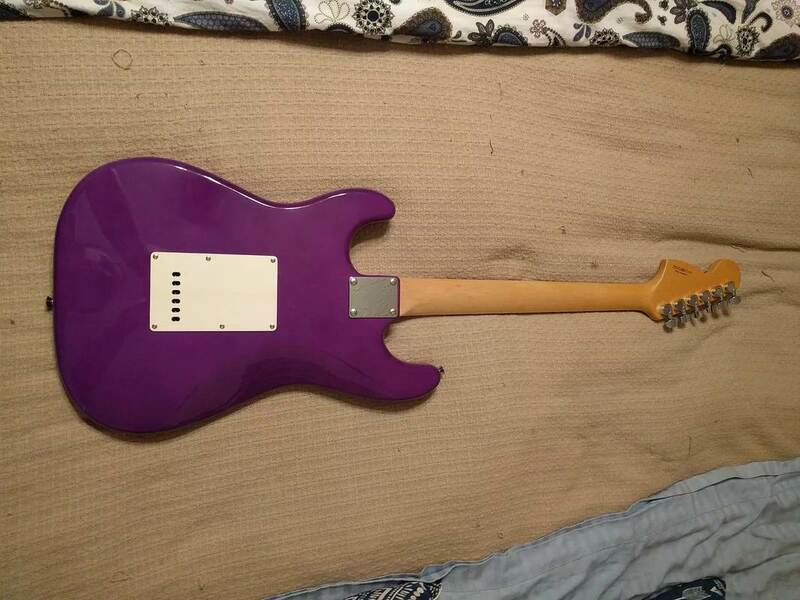 The "Fat" Strat features a humbucker in the bridge position, 2 standard single-coils in the middle and neck, and 5-way switching.